I've documented on this blog for awhile my struggles with Netgalley. How I've come back from a 14% feedback ratio up to (the suggested feedback ratio) 80% using my own brand of rules and guidelines. Two years on from that surprisingly wildly successful blog post, my rules and guidelines for myself has been successful. I'm currently at a 91% feedback ratio with 10 titles on my shelf unread and therefore not reviewed. Because I'm in an almighty blogging and reading slump since the many losses that have occurred over the last few months, I'll try anything to find that hook back into doing the things I love. And as I have had success recently with Netgalley reading... I've recently read The Names They Gave Us by Emery Lord, Our Own Private Universe by Robin Talley and When Rishi Met Dimple by Sandhya Menon that I really enjoyed ... I thought that I would continue that streak and aim to clearing my Netgalley shelf entirely by the end of the month. 10 titles might be a bit much with the reading slump that I've been in but why not set myself a challenge, right? I'm leaving the bottom two books, the only adult books on my list until the last, despite Paul Auster being one of my favourites (it's a really chunky book!) and the Colson Whitehead book sounding really interesting and trying to focus more on the YA books, especially as I'm hoping that this mini-reading challenge will also kick-start some blogging this month as well. 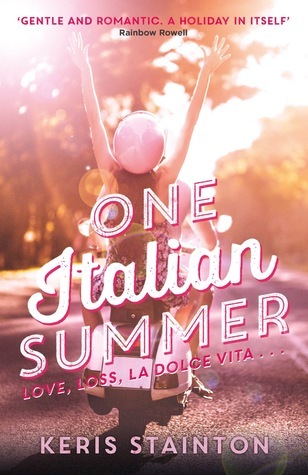 I'm most nervous about reading One Italian Summer by Keris Stainton because I know it deals with the death of a loved one that and is something particularly hard for me right now having lost two people who meant a great deal to me in a very short period of time. But we shall see! I'm also aware that there are 5 UKYA authors on my list so maybe it'd be a good idea to start with those four? To tie in with my British Books Reading Challenge this year too? Oh I don't know. Wish me luck though. How are you with Netgalley? Have you read any of the titles on my June TBR? Where do you think I should start?